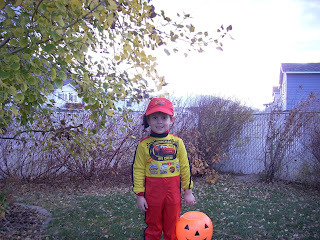 I thought all of you would like so see some very "cute" Halloween pictures. I was able to get home for a few days to spend some "spooky" time with the family! Jane-Marie and Mom!!!! Sorry, I don't know how to rotate the picture!!!! Zach...Lighting McQuenn...need I say more! 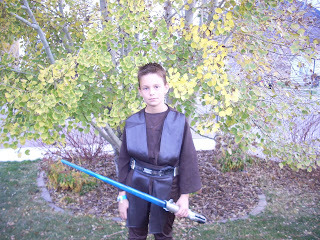 Brock dressed as some Star Wars dude!! Oh my gosh! With the dark hair on Jane, you two are twins!! 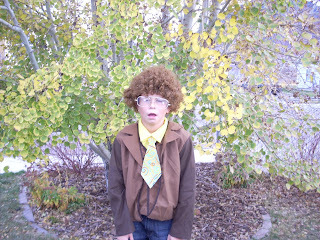 And Cole does win best costume award. Soooo so funny!! 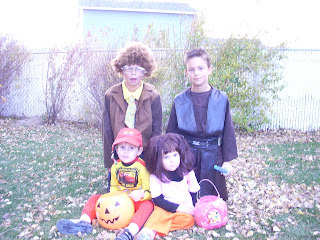 I can't stop laughing each time I see Coles picture. He is so funny! 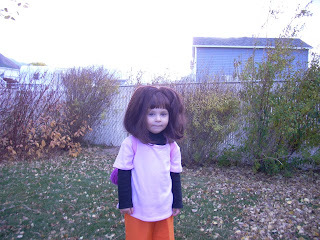 Love the Dora hair. Holy cow!